Another app that made it’s debut this week-end was MobileCast. I really liked the MobileCast application from firmware 1.1.4 and below!! I used it all the time! So, I was really excited to see that MobileCast had made it to firmware 2.x. 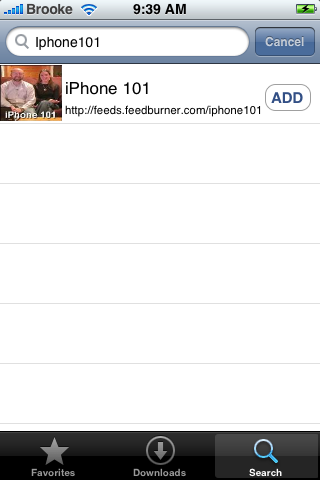 MobileCast is an application that allows you to wireless download podcasts.